Following the rise of charismatic Christian churches, the men of the cloth, who head them have redefined the lifestyle of pastors in modern day Christianity. Their posh lifestyles are advertised and plastered all over social media and they make no apologies for living a good life, in Christ. The congregants do not have the privilege of knowing how much their pastors make, but it is easy to estimate based on the hood they stay in, the posh cars they drive, the types of parties they host, what they post on social media, the kind of places they vacation at and the luxurious and posh weddings they hold for their children. Here is an outline of how these men of God have redefined the calling. Neno Evangelism Centre was founded in 1992 in Nairobi city. Nganga was married in 2012 at a lavish wedding where the who is who was present. But in 2015, his estranged wife, Loise Murugi Maina, decided to wash the family’s dirty linen in court, accusing the man of God for being an abusive and adulterous drunk, according to court documents. 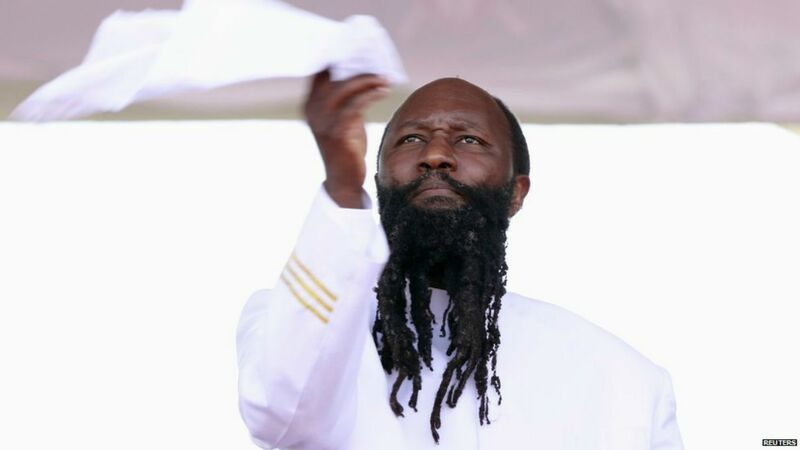 He is among the top men of God with a huge following, thanks to the ‘miracles’ he has been seen performing which includes exorcising demons from his members. Last month a disturbing video of 10 demons being exorcized from gospel star Rose Muhando by the controversial pastor, (James Ng’ang’a) surfaced online. Ng’ang’a is seen commanding the demons from the fiery pits of hell to leave the Tanzanian music icon. When the Star reached out to the flamboyant man of God, to find out how posh his life is, his team played tricks on us saying the man of God was busy in church but assured us that they will get back to us. Since then the number has been off. He is alleged to be living in Karen and owns a Mercedes and also owns a fleet of cars among other properties like the Sunny Hill Hotel in Naivasha. 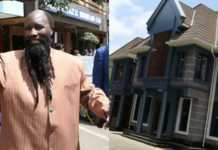 The founder of Ministry of Repentance and Holiness Church, Prophet Owuor is among the affluent pastors in Kenya living an exemplary life. He is known for his huge crusades and miracles. The man of God has a flashy lifestyle unlike most of his followers. He has a collection of high-end fuel-guzzling cars. 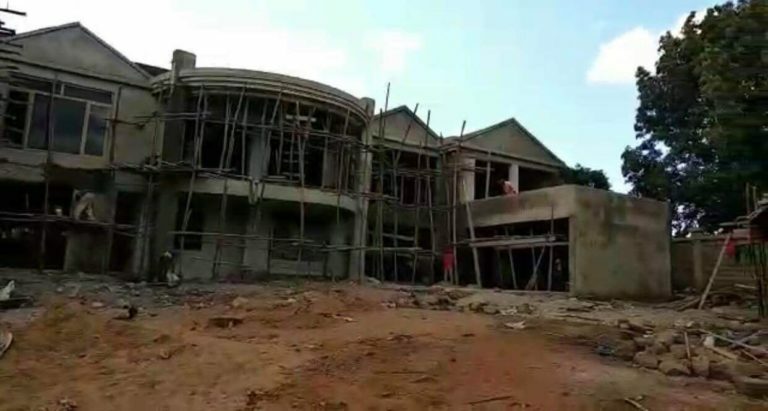 Recently, a close source hinted to the star that Prophet Owuor, is building a Ksh 340 million mansion at Runda. The building that is nearing completion has an underground bunker with state of art security features. Bishop Allan Kiuna and his wife Reverend Kathy Kiuna run the Jubilee Christian Church in Nairobi with 15 Kenyan branches and five international churches. 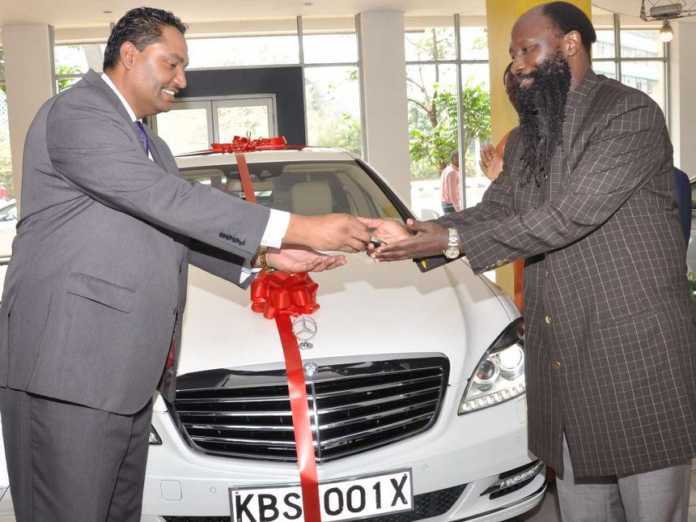 They are among Kenya’s wealthiest pastors. Kiuna started by leaving in someone’s house as they could not afford to pay rent. They abandoned their printing business and concentrated on their ministry. The Kiunas have grown their wealth over the years and are reported to own top-of-range-vehicles, spend time golfing is some of the exclusive golf courses in Africa and vacation at exotic tourist destinations in the world. 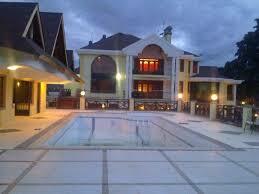 Let’s not forget their luxury home in the leafy suburbs of Karen. The flamboyant couple have not shied off from sharing details about their lavish lifestyle over the internet. Even though details about their net worth remains elusive, as is the case with other ministers in the church industry, all indicators point to the Kiuna’s living a life akin to royalty. As you enter the gate to Father John Pesa’s church, you are likely to be ushered in by a congregation lining up waiting for him to enter the church for prayers. 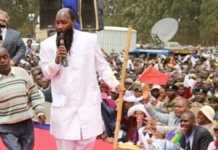 His Holy Ghost Coptic Church of Africa along Kisumu-Kakamega road is a well-known place. Within the church compound where he lives in, he hoists the national flags, his church flag amongst others in the compound. Unlike other clerics, he has a high value for his security and one has to always arrange prior before he is visited. Father Pesa is not new to controversy as he was once accused by a former MP for Kisumu Town East of chaining some mentally ill patients within the church. The MP brought up the issue in Parliament and demanded to know why the clergy was constantly chaining such patients and with whose permission. In January 2018, police officers raided his church with claims that there were faithfully held in the church without their consent but no arrest was made. The clergy denied such claims saying some of the mentally ill people within the church were brought in by relatives for prayers stating that most of them recover and continue with their lives. Those who are conversant with the place say the clergy is a very welcoming person and ready to feed any visitor who happens to enter the place. According to some of the visitors including journalists who have gone for a media interview with him at his residence within the church compound, one has to undergo through various security checks before accessing him. The clergy likes to provide cold soft drinks to his visitors and will not allow them to leave without taking the 500ml bottle of Soda. Whenever he is around, every worshiper refers to him as ‘Baba’ and they always remain standing anytime he passes while going into or out of the church. Every year in January, the cleric normally holds big processing to mark the church’s anniversary since its formation and during this period is he always heavily guarded by security officers. The controversial preacher on most occasions is seen with his Volvo car which is well maintained and sometimes driven in a Voxy kind of vehicle which is fitted with his church’s flag. Speaking to Word Is, the preacher said in many instances his life has been threatened hence the security officers. “I wonder why some people don’t like me, maybe it’s because I don’t sugar coat and say things as they are,” he said. He noted that various churches have turned into money minting avenues hence many people migrate from other churches to Coptic where such vices are not condoned. Apart from all this, the preacher pays for the education of orphans, takes care of widows – some of whom leave within the church compound. The cleric is not married but says he decided to dedicate his life to God and working for the people.